Well, here we go again. We’re coming up once more (by September 23 or 28) on the end of times, or the beginning of the end of times, or the Stock Market Crash, or another Jewish Holocaust. Or maybe just the Rapture, or God’s judgment on America. Or maybe just a bad day. Don’t bet against the latter. It’s once again another round of earnest but dubious prognostications by End Times enthusiasts and would-be Bible scholars who twist the Biblical scriptures and project so-called prophetic words on a confused and uninformed public and equally gullible and uninformed Church. Be careful what you read, watch or listen to in books, TV, radio, and even in church pews. The religious world is abuzz again over the teaching about the appearance this year of consecutive blood moons on Jewish feast days, as well as another prophetic dating game involving the Jewish 7-year mandated agricultural cycle called the shemitah, played this time by Jonathan Cahn from his book, The Harbinger, and the application of Old Testament Biblical passages to a coming wrath and judgment against America. It’s all very fascinating, even exciting, particularly for Christians who are susceptible to Bible-referencing authors and predictors of calamity. But why do we fall for this? “The bricks have fallen down, but we will rebuild with dressed stone; the fig trees have been felled, but we will replace them with cedars” (Isaiah 9:10). We would do better to study the Bible and know the context of these passages and not become victims of sensationalized newspaper eschatology. 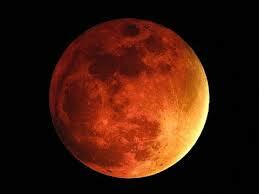 What Exactly are the Blood Moons and Shemitah About? Tetrad of 2014-2015 – ? The Shemitah 2015 – in a Sabbath year (the 7th year known in Hebrew tradition as a shemitah) of the 7-year agriculture cycle described in Exodus 23:10-11 and Leviticus 25:1-7, the land was to be left to rest or lie fallow. The shemitah was also a time for the cancellation of all debts. (see Deuteronomy 15:1-2). Jonathan Cahn’s book, The Harbinger, has tied the attack on the World Trade Center on 9/11 and the 2008 Wall Street crash to God’s punishment of America for its disobedience to God. The entire book is built upon Isaiah 9:10 where God’s prophet warned a disobedient Israel whose Northern Kingdom was ultimately destroyed by the Assyrians in the 8th century. As applied to Israel, Cahn applies these warnings or harbingers to the US. He predicts that in September 2015 (another shemitah year), another major financial calamity will hit America. Be wary of hype and secret codes. The Bible is the Word of God in which He clearly reveals Himself. Do not believe religious pastors and prognosticators who have been consistently wrong in their end-times predictions or make very strained connections from verses to current events. Try studying the Old Testament by itself apart from modern prophetic books that attempt to predict the end of the world. Understanding the Old Testament and its language and context for what it is: a history of the Hebrew people, God’s chosen race beginning with Abraham, through whose lineage would come the remission of sins and the redemption of all mankind through the sacrificial death and blood of Christ. Israel was re-established by God (capital city of Jerusalem) after 70 years of exile and captivity in the early 6th century BC. Israel’s rebuilt Temple was destroyed by the Romans in AD 70 exactly as Christ had predicted in Matthew 24. That calamity was foreshadowed in the New Testament’s Book of Revelation as a harbinger with highly symbolic Old Testament language and imagery for the early Christian Church (made up of mostly ex-Hebrews) to be encouraged and warned that in their lifetime they would see God’s wrath once more come upon thoroughly desolate and disobedient Israel, particularly her capital city, the whore of Babylon, the harlot in bed with the beast, Rome, who conspired on the killing of Jesus, the Messiah. It’s a fascinating narrative. They should make a movie of it. But the Book, and only True Book, would be better. Do you know enough about the Bible to not be influenced by counterfeit theories? ‹ The Bible as Literature – as Good as the Classics?